The Strange Tale Of Bog Bodies – Censor This! A human sacrifice, a suicide, an execution.. We simply cannot say for certain but there are evidence that may bring out the facts as to what could have been the unthinkable possibility. Around the 17th century people began to find bodies in bogs with the first one in Germany being the first one recorded. Throughout the past hundreds of years there has been more and more found in places all around Europe mostly. To name a few locations, Denmark, Germany, and Ireland where the most common places the bodies would be found. A bog is a wetland that consists of dead plant material like sphagnum moss. The peats are covered in ericaceous attached to the moss and peats so the accumulation of the decayed plant material is what is used to produce a carbon sink. The reason why bogs were such perfect place to preserve the corpses for this long was because of the acidic ground as well as the lack of nutrients. One lady, now known as the “Borremose woman”, found in Himmerland, Denmark lying face down, wrapped in woolen garment which was rare to find a preserved corpse who still had some form of clothing. It was possible that she died of strangulation but her head was also severely crushed, later it was found that her skull damage was because of the demineralization in the bones and the pressure the peat had on her body. She also had half of a clay pot placed on her knee and a leather belt with amber beads. Another corpse was found in Ireland known as the “old Croghan man” and believed to have died between 362 B.C and 175 B.C at around 20 years old. His body was naked except for a plaited leather band around his left arm which represented high status. It was believed that he was king and was executed by the Druids who were people of religious high authority. They executed him because if the harvest or weather was not doing particularly well they would blame it of him. His cause of death was a stab wound to the chest then he was decapitated then his body was cut in two. There are various deep cut wounds all over his body indicating his death was more so a torturous event rather than a “normal” sacrifice. In his short lifetime, he also suffered from scars in his lungs that could have been pleurisy which is caused by lung cancer or some infection in the lungs. The corpse of the Arden woman seemed to have a very different death than the “old Croghan man”. She was found in a question mark shape and unlike many bog bodies, still had garments on. She had dark blond hair in pigtails and wrapped around her head. It was determined she would have been 20-25 years when she died without any signs or violence. Today she resides in the national museum of Copenhagen. 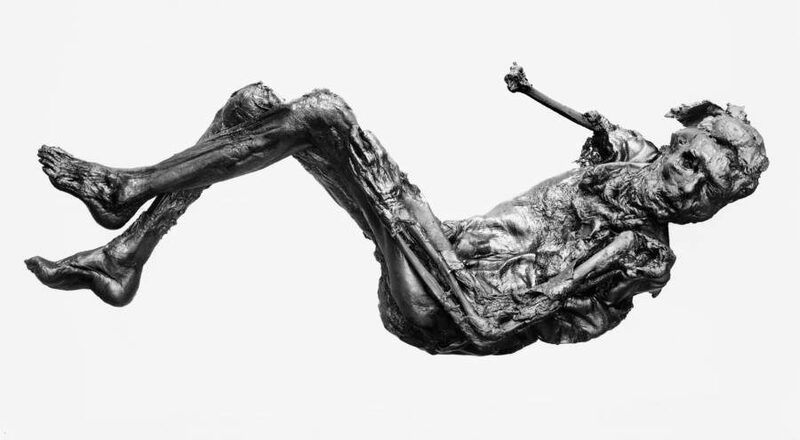 The bog body stories help us imagine what could have been the fate of so many innocent people. It is quite sad to imagine these innocent people murdered by all these well intentioned, easily convinced people. Since it was a common thing to kill people they thought were wicked, to protect others, it was well intentioned, but thousands of years later we see the faulty in their thinking. These stories are not facts they are basic theories as to what might have happened to them. If we had a USB to access information they might have had in their brains 2000 years ago, it is truly fascinating to me because we never will really understand all of the torture these innocent people went through but it is so amazing how well they were naturally preserved, as if somehow, we were supposed to find them and wonder to ourselves why did this happen.